Spring, according to the calendar at least, is finally here. That means it’s time to start thinking about all those rage inducing construction projects that will soon be returning to the roadways of America. We complain when the roads are in poor shape. We complain when the roads are being repaired. You just can’t make us happy I suppose. 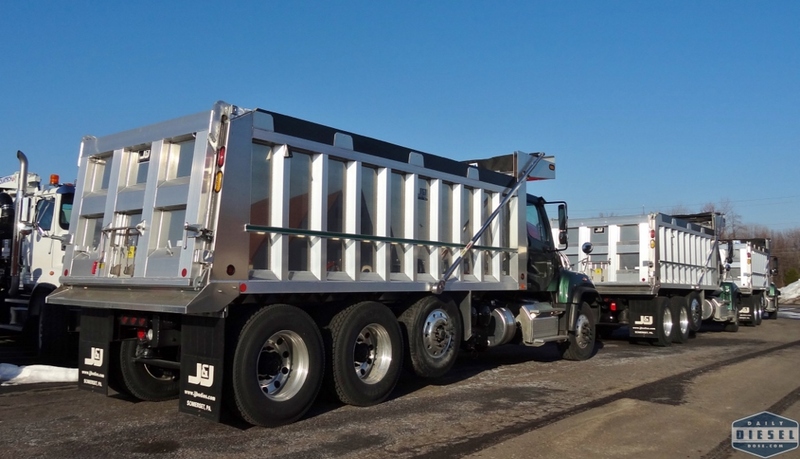 Not matter how you feel about the subject I’m guessing the drivers who will be receiving these new trucks of the Suit Kote fleet will be smiling all the way to the jobsite and back. Here we see two Western Star 4700’s and two Freightliner 114SD’s. All are equipped with J & J bodies. 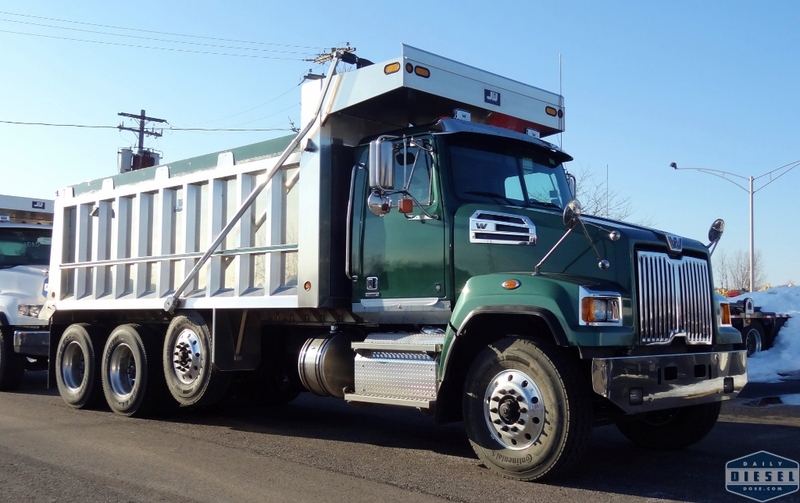 Now as partial as I am to the color green I gotta say this International HX would be my truck of choice. That painted dump box with stripping is a real head turner. Now to keep it clean after a few days of work…. More of the Suit Kote fleet. 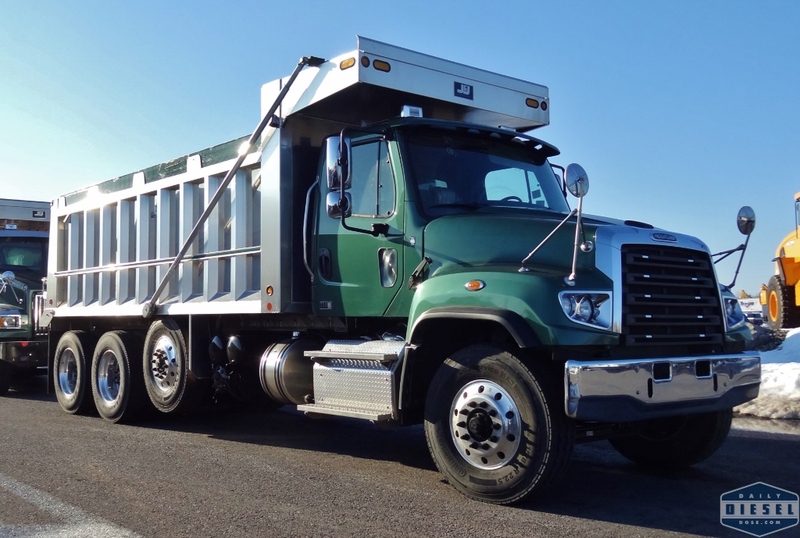 This entry was posted in At the Dealer and tagged freightliner 114SD, international HX, stadium international, suit-kote, tracey road equipment, western 4700. Bookmark the permalink.